Who's up for a cruise to see the fall leaves?! Welcome to the showcase of the Front Range. Less than an hour from Denver, Boulder, or Fort Collins, this 55-mile-long route provides matchless views of the Continental Divide and its timbered approaches. The string of popular attractions along the way - Rocky Mountain National Park, Golden Gate Canyon State Park, Arapaho and Roosevelt National Forests, and Eldora Ski Resort - combine recreation with nature preservation. Located in Colorado's high country where gravel roads criss-cross the main highway, this byway leads to lakes, trailheads, campgrounds, and ghost towns at Hesse and Apex. Mountains dot the landscape all along the byway, providing spectacular sights year-round. From wintry snow-capped magnificence to spring's innocence and revival, there is always something to inspire and take your breath away. The Peak to Peak Scenic and Historic Byway also traverses an area rich in early Colorado history. The area was once a mining belt of valuable gold and silver deposits. Today, you can explore the past at Caribou, one of Colorado's ghost towns found about 5 miles west of Nederland or pan for gold at one of the panning locations off the byway. Estes Park boasts an extension of the Stanley Museum housed in the Stanley Hotel. Here, you can learn more of the Stanley family and its influence on Estes Park in the early 1900s. Towns along the way offer cultural activities as well. Home to the summer opera festival, Central City is also rich in period architecture. Established in 1918, Peak to Peak is Colorado's oldest scenic byway. Its attractions and popularity have justified Peak to Peak Magazine's comment, "many call it one of the most beautiful mountain roads in the country." Here's a link to some photos from our 2005 Fall Colors Trail Ride GTG over Georgia Pass. How many people show up to these GTG. 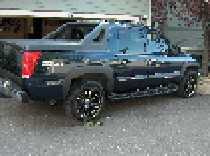 Hows the ride, do i need to put on my 4X4 tires i still have on my 22" but i can change them if needed. Chuck, About how long miles and hours is this round trip for me, I am interested but Im not sure if the whole family is interested. Yea, My modifications on my truck are worth more than my truck. Shawn- this is not an actual trail ride like we did over Georgia Pass but this is all paved highway so need to change tires. Chad-I'll see if I can come up with a map with total distances. Your a nut man If I had to choose, I suppose Im the other way around, to each their own. So are you going? Im trying to get enough done work wise to make it. It will be 307 miles and 7 hours 15 minutes round trip, it will be an all day thing. Checking on what the family thinks. 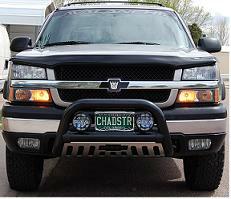 Sorry about that Chad I knew it would be a long haul for you folks in the Springs.